We all love getting neighbor gifts but don't want to spend out of our limited budgets. So here are a few great gifts for the neighbors that won't break the bank but will say that you put some thought into the gift. "We can all use some extra dough this time of year"
This time of year you have many options as far as baking ideas or getting prepared and packaged items at your local store. For me I prefer to do as little work as possible. I found some coupons for some cookie dough so I stocked up. You can attach a not that says... "We can all use some extra dough this time of year"
"Don't let your dishes pile up this season"
Get a stack of paper plates from costco and put a cute holiday ribbon. Print out a cute lable that says "Don't let your dishes pile up this season" so that people can let the dishes do themselves :) Who doesn't love that. The dollar stores around here usually have Twizzler's for just $1 so all you would do is print out the lable and stick it on. Very cute and very cheap. It doesn't take too much to make small meaningful gifts. Microwave popcorn is cheap especially when you buy it in bulk at Costco or Sams Club. Then you just print a label with a cute ribbon and print the words "Just "Popping: by to wish you a Merry Christmas" and voila! May your Christmas be Merry and "Sprite"
I love when I can find the coupons for $1 off a 2 liter of sprite. Then you stock up and head to Walmart for the price matching game once you have found a store offering coke products for $1 for a 2 liter. Finding cheap muffin mixes is another great way to load up on cute neighbor gifts. Scan your local ads and find the cheapest muffin mix possible and buy as many as you can. 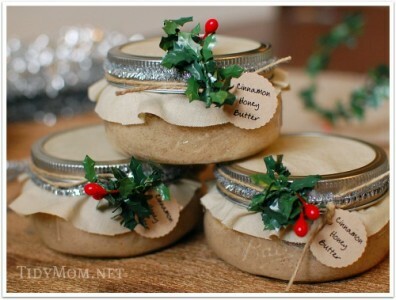 Make a cute label that says "You're gettin' Muffin for Christmas"
This can be done with any type of mints. You can buy them in bulk and put into festive holiday bags or just hit the dollar store and get some already packaged. Then you make a cute printout that says "Blowing Christmas wishes your way"
If we could choose our friends and we searched the whole world through, we would go "bananas" trying to find a better bunch than you! Go out and stock up on bunches of bananas. It is always nice to give a healthy option to the sugary treats. Christmas is Jolly, Christmas is Sweet, I’m Stressed out so…. Make your own Darn Treat!!! 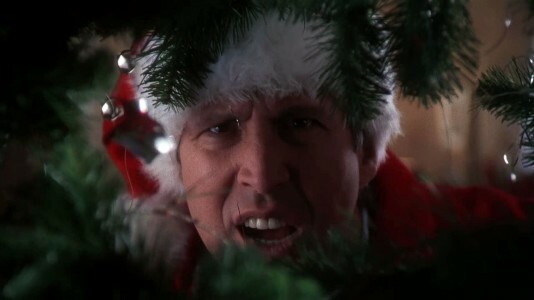 "Christmas is Jolly and Christmas is sweet.....I'm stressed out....So make your own treat!" Then you don't have to do anything but buy the stuff and put the label on. There you have a great variety of inexpensive and crafty looking thoughtful neighbor gifts. They can cost as little as FREE if you do it right and find the coupons and find the lowest priced stores. It may take effort but you don't have to break the bank.